The Roan Mountain Citizens Club was established in 1946 by a group of Roan Mountain Citizens concerned with the future of their community. In 1947 the first Rhododendron Festival was held atop Roan Mountain. For over fifty years the Roan Mountain Citizens Club has sponsored this annual event. The main purpose of the Citizens Club is to promote the Roan Mountain area and stimulate its development. 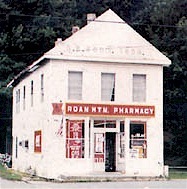 The Citizens Club’s efforts have produced several notable achievements including the construction of the highway which now leads to the peak of the mountain and the establishment of the Roan Mountain State Park. In addition to sponsoring the annual Rhododendron Festival, the Citizens Club celebrates the trek of the “Overmountain Men” from Fort Watauga to King’s Mountain, where they defeated British troops under Col. Patrick Ferguson in the Battle of King’s Mountain. The club also sponsors the annual Christmas Tree Lighting in the Village where Santa’s visit is welcomed by the musical performances of local school children. Additionally, our club provides useful information to visitors about our area’s many historic buildings and establishments. The Young Highlander, Junior Highlander, and Highlander Awards recognize with monetary awards elementary, junior, and senior high students who exhibit good citizenship. Citizens Club will have Roan Mountain cookbooks, auto tags, and (for the very first time) tee-shirts available for purchase at the festival for $10 to $15 each. See them at our tent under the big oak tree. We’ll also be selling ice-cold canned drinks and bottled water. All proceeds go to Roan Mountain commmunity projets at schools, fire department, etc.